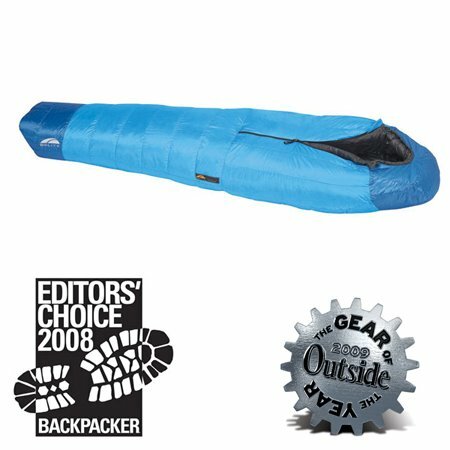 GoLite has announced that their Adrenaline 20 sleeping bag is the winner of the 2009 Outside Magazine’s 2009 Gear of the Year award for the sleeping bag category! This sleeping bag offers more warmth than other 800-fill goose down bags thanks to its mummy shape and innovative toe box design, so its no wonder the Adrenaline is winning its second major accolade (Backpacker Magazine awarded the Adrenaline series the Editor’s Choice award in 2008). GoLite also gave the bag their special touch, making it one of the lightest bags on the market (Adrenaline 20 is 1 lb. 12 oz.). The Adrenaline series is available for men and women and comes in 40 degree, 20 degree, and 0 degree options. These things are flying off the shelves, so pick one up while they are still available!